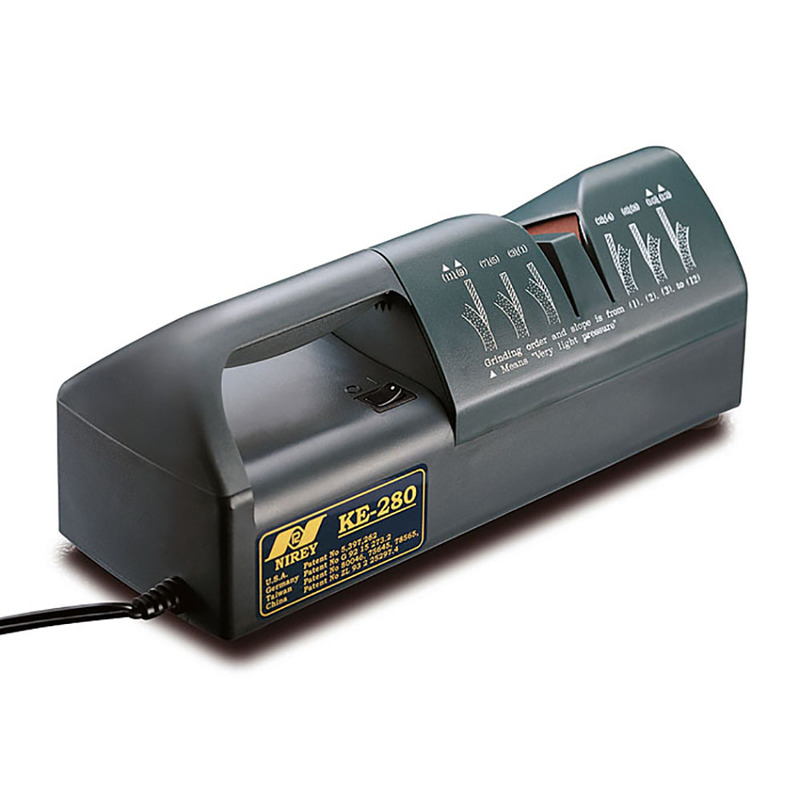 The KE280 is the ‘older brother’ to the KE3000 and it suited for commercial establishments and knife sharpening businesses. The Nirey KE280 has a powerful A/C motor and robust transmission from the motor via an axle and crown wheel and pinions. In the case of the Nirey KE280 – it will withstand continuous commercial use and is perfect for businesses who need a strong, robust machine which can handle a magnitude of sharpenings. The Nirey KE280 produces a polished, manufacturer finishe to your blades, in extremely quick time. It uses Aluminium-oxide cloth belts which are loaded onto wheels with a patented foam surround. 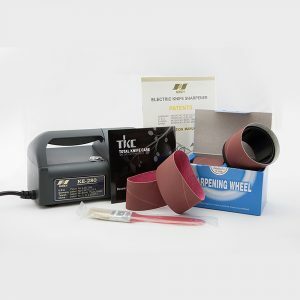 Whilst the knives are being sharpened, the cushioning system ‘polishes the knife sharp’. The results that this machine gives is incredible. 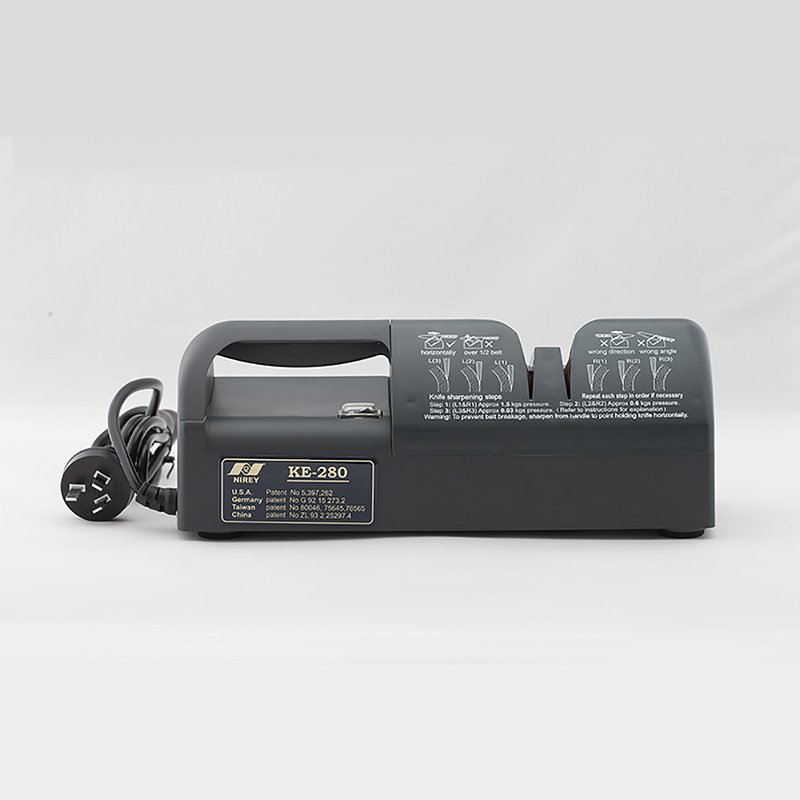 The KE280 will out perform any other sharpening system – manual or electric. It produces a smooth razor sharp edge on all good quality knives that is often sharper than when the knife was new. The patented cushion contact system eliminates the need to hone after sharpening. Even exotic Japanese knives can be sharpened perfectly.